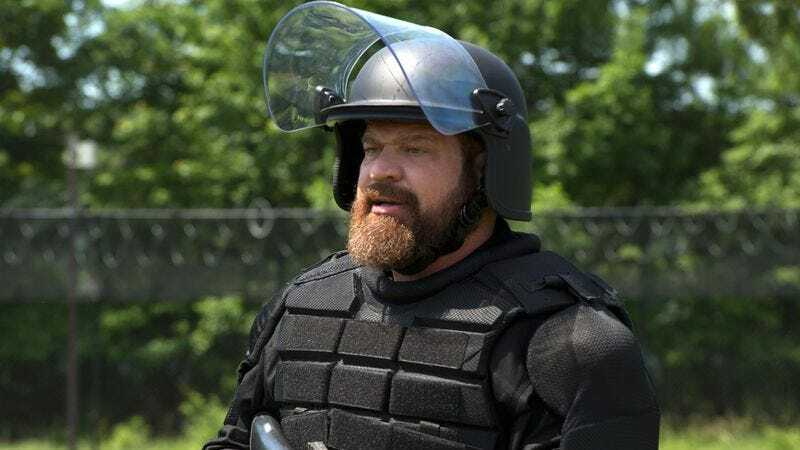 Variety is reporting that Orange Is The New Black’s Brad William Henke has been cast in Bright, Netflix’s most expensive feature-length production to date with a production budget of $90 million. Henke is the latest addition to the project, joining Will Smith, Joel Edgerton, Noomi Rapace, and Lucy Fry. Bright will tell the well-worn tale of a human (Smith) and an orc (Edgerton) who put aside their taxonomical differences to protect a magic wand from law enforcement, criminals, and magical creatures. Bright’s premise sounds like it may share a Venn diagram with Fantastic Beasts And Where to Find Them, World Of Warcraft, and the Men In Black series. Bright was penned by Max Landis and will be directed by Suicide Squad’s David Ayer, contributors who may very well predetermine your interest in this project. Production on Bright is scheduled to begin filming this fall.